A farm stay in a fram that also operates as a lodging is a fine, fun way to enjoy a country vacation, entertain children, and create great family vacation memories. 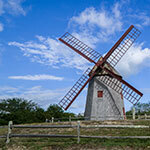 A working New England farm and B&B for those in seeking adventure or simple pleasures. 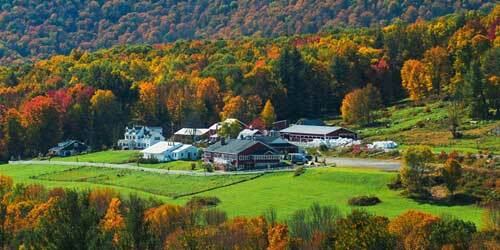 Relax and renew yourself at this scenic working farm in the Berkshire Foothills. Set on 530 glorious acres overlooking the Mohawk Trail and Deerfield River, you’ll find sweeping vistas and fresh mountain air. Two guest houses offer charming bedrooms each with its own bathroom, kitchens, public gathering areas with TV’s, dining rooms, and DirecTV service. A continental breakfast is included in your room rate. Adjacent is Berkshire East Mountain Resort with alpine and cross country skiing, zip lining, fly fishing and mountain coastering. Explore local towns rich in history, artisans, architecture and antique shops. This ideal lodging for large families, multiple families or groups of friends is located within a three and a half hour drive of major metropolitan areas. Named "Best Adventure Lodging 2017" by Yankee Magazine.